Dragos Cristian Ciorgovean is a male goalkeeper from Romania, who has been playing for AFC Hermannstadt since January 1, 2019. So far in the 2018/2019 season, Dragos Cristian Ciorgovean did not compete in any fixtures. Since he came into world in 1999, to be more precise June 20th, the goalkeeper is eight years younger than AFC Hermannstadt's average player. At present, AFC Hermannstadt is in Liga I (Romania) they are in sixth place. Not once did Dragos Cristian Ciorgovean gain a penalty in his tenure. 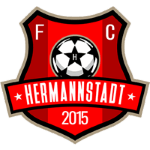 AFC Hermannstadt is his first professional club he has played for. He received the number 99 tricot at AFC Hermannstadt. Apart from Dragos Cristian Ciorgovean, Catalin Vasile Cabuz and Toma Niga are also goalkeepers of AFC Hermannstadt. In terms of winning, his team was able to do so in only 20% of Liga I's matches.